Water damage as a result of spilling gutters is the last thing you want to affect your home. It can do considerable damage to the roof and the rest of the home, and it’s also difficult to spot as it usually manifests in the last place you expect, often far away from the gutters themselves. In this post, our gutter installation experts at Advantage Seamless Gutters list the four signs of water damage in your home and where to find them. The fascia, also known as the roof edge, is where the gutters are installed. When your gutters start spilling as a result of clogs and blockage, this is where the water will eventually end up. A fascia with significant water damage has noticeable stains and dark marks. If the stains are faded, then the water damage has been going on for a long time. Leaks that have been going on for quite a while can increase the coldness in your room. This is usually the result of dampness on the walls where the leaks eventually end up and you’ll notice this on the rooms directly below the roof or attic. If you notice that your home seems unusually difficult to heat, then there’s a leak in the roof. Discoloration on the exterior walls is another sign that your gutters are leaking and spilling. Look for discolored streaks that seem to run down the side of your home. You can address this easily by regularly cleaning your gutters. For gutter cleaning that involves more than simply hosing down the gutters, we recommend our expert gutter cleaning service. The leak and spills from your gutters will eventually find its way onto your foundation where the water will pool and collect. This is very dangerous as the water will do continuous damage to the foundation and even cause the soil to shift underneath your home. These are all warning signs that you should take action and have your gutters cleaned and checked by an experienced company. 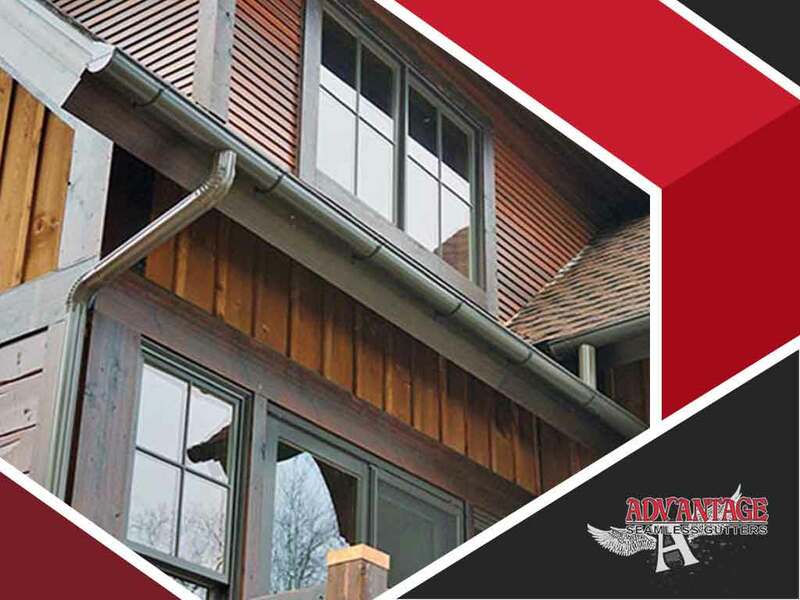 On top of installing seamless gutters, our team from Advantage Seamless Gutters also offers expert gutter cleaning and repair service. Baxter residents can call us at (218) 212-1818 to learn more about our services. For Crosslake and Alexandria homeowners, you may reach us at (218) 692-2663 and (320) 421-8726 respectively. We offer gutter cleaning and installation in St. Cloud, MN.